Swimsuit season is upon us. That means time to get extra busy watching calories. Yet, I refuse to give up my creamy ranch dressing. So I was super excited to get the idea to make Creamy Avocado Ranch Dressing from See Aimee Cook. 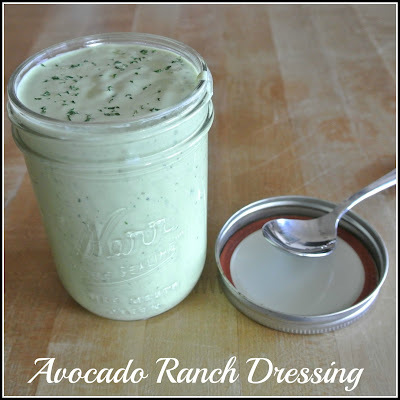 After a few adjustments, I have here what I think is the perfect healthy creamy dressing. 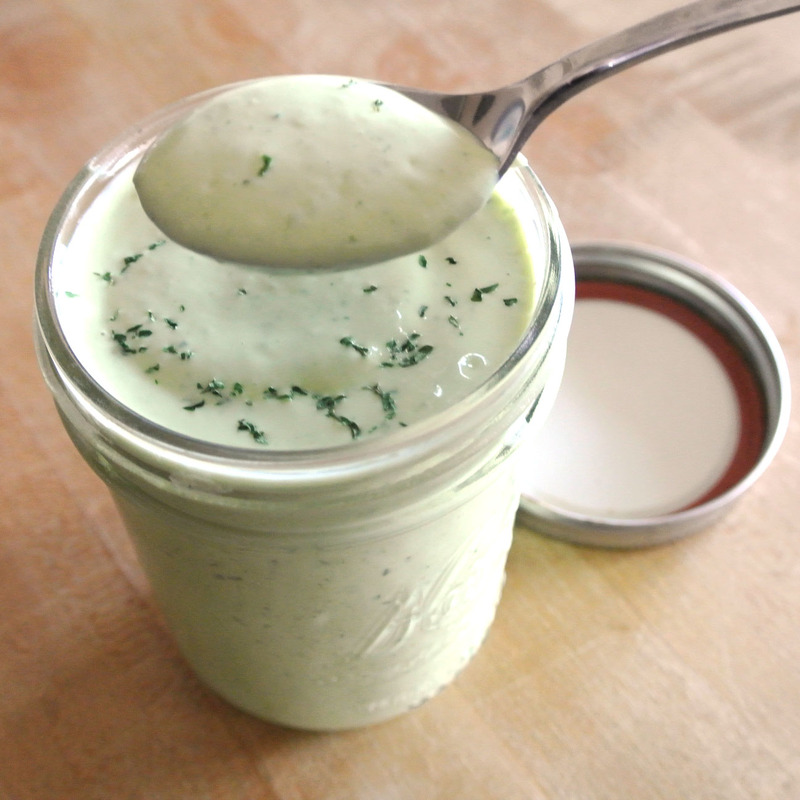 Whenever you are going to have a creamy dressing, fat comes along. The key here is to use healthy fat. I love a wholesome healthy God given fat. Avocado's are a gift. Don't be afraid of healthy fat! I add vinegar to replace the mayonnaise and now you have a very healthy thick creamy ranch dressing. Combine all ingredients in a blender or food processor and blend until thick and creamy. What a delicious ranch dressing... I love that addition of avocado. Yummmmm! I recently made an avocado sauce for some enchiladas so now I'm HOOKED on creamy avocado sauces, must try this one, it looks amazing!